October 10, 2013 — As you drive down Route 103 in Shrewsbury, VT, you’re going to eventually hit a quandary: Which side of the road do you focus on? On one side is a beautiful white Victorian mansion, on the other a prominent mausoleum with a permanent marble mourner. Actually, either is fine. Turns out they’re part of the same story. And, well, you should just stop and check ’em both out, anyway. 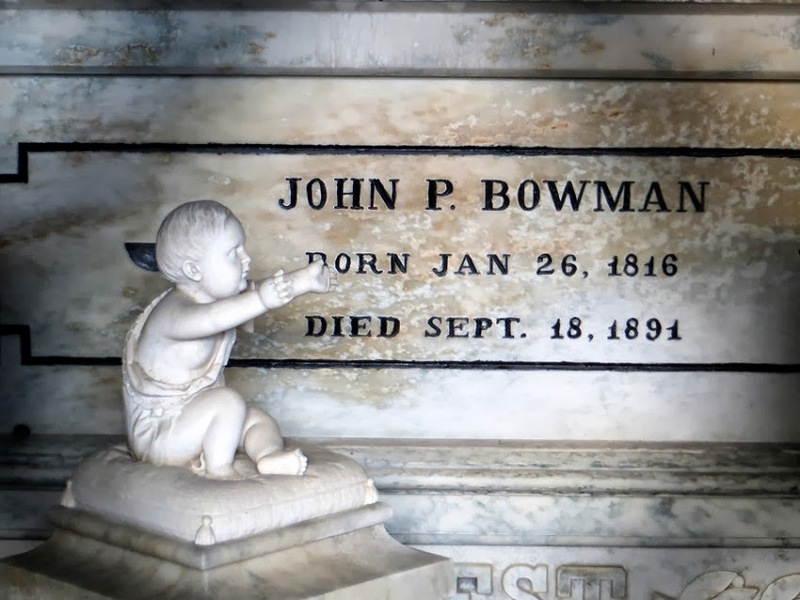 John P. Bowman was born in Clarendon, Vermont, in 1816. Throughout his life he jumped between Vermont and New York as he learned the leather trade and became very rich in that business. But the Grim Reaper doesn’t take bribes. In 1849, Bowman married a woman named Jennie Gates and had two daughters. The first, Addie, was born in 1854, but died at four months old. Their second daughter, Ella, was born in 1860. She died at 19. And then his wife died less than a year later. But Bowman wasn’t about to let his family disappear into the earth. Right after the death of his wife, he began two constructions projects in the town of Shrewsbury, right across the road from each other…a mausoleum and a mansion. 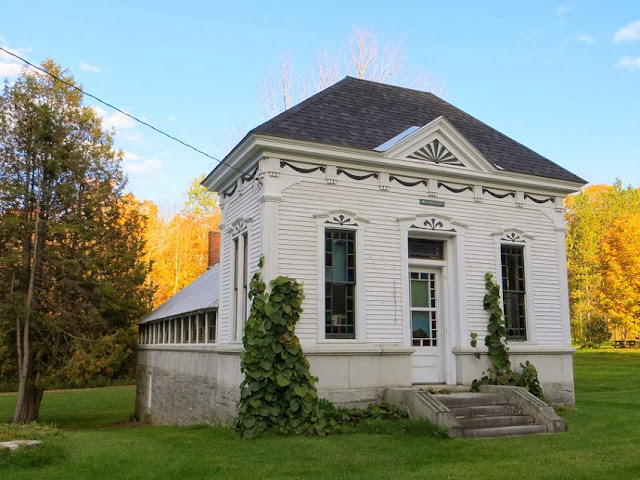 The mausoleum to hold his family was built on a property adjacent to an old burying ground. It took 125 sculptors and stone cutters to turn 750 tons of granite, 50 tons of marble, and 20,000 bricks into a piece of both funeral art and funeral practicality. All told, it cost Bowman $75,000. He even had the whole area landscaped and a greenhouse installed to provide the graveyard with plants. 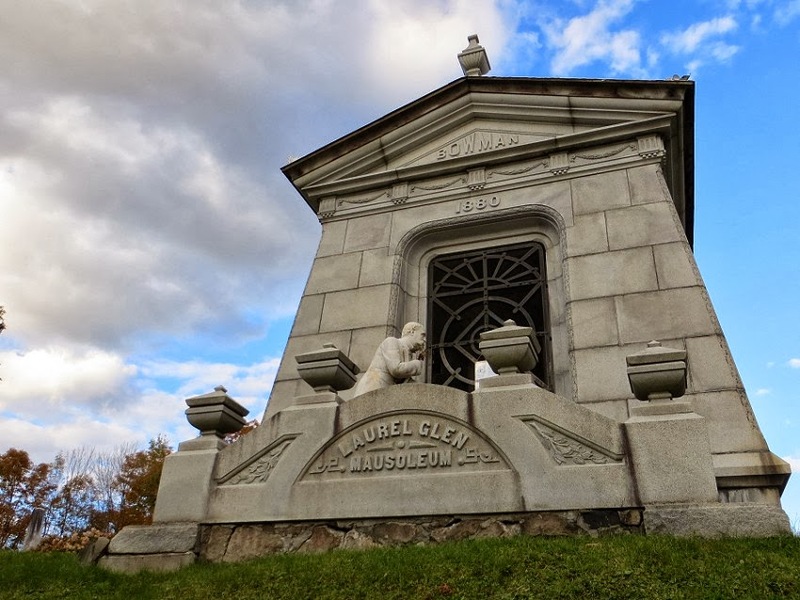 It was called Laurel Glen Mausoleum, and the whole place came to be called Laurel Glen Cemetery. 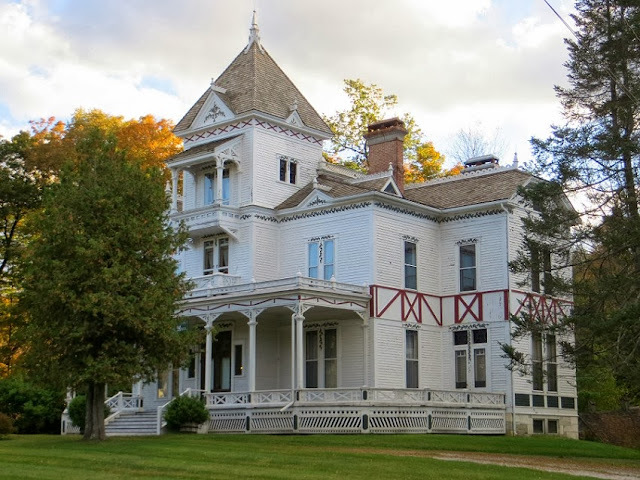 Meanwhile, across the street, he built a gorgeous Victorian mansion called Laurel Hall that, in typical wealthy fashion, was only used at first as a summer house. But he did eventually move into the house permanently. Died there, actually, right across the street from the remains of his loved ones. He died in 1891, 11 years after the death of his wife. After that, the whole area of Laurel Glen Cemetery and Laurel Hall went to a trust for perpetual upkeep. Before I saw the place, I definitely had some misconceptions about the tomb. 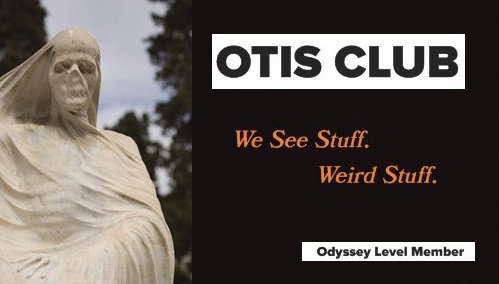 I’d seen pics of the statue, but no real context. I thought it might be cheesy, like a Hope Cemetery sculpture, and that it was hubristic to have a statue of yourself mourning at your own grave. Rich people, you know? 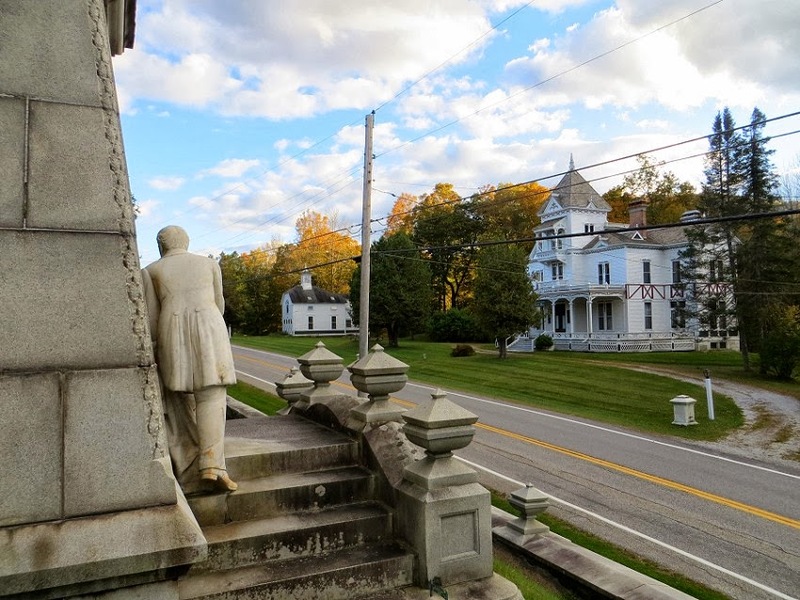 Driving up, we barely saw the cemetery, but the mausoleum loomed over the road on a rise just feet away from the edge of the road. We pulled into the cemetery and parked, immediately noting the mansion across the street, but not yet knowing its connection. 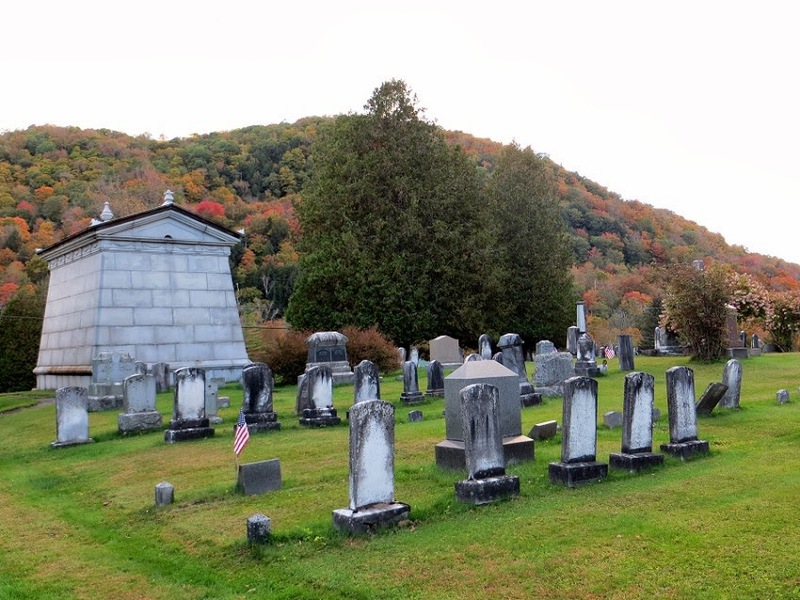 From the back, the mausoleum looks plain, but sticks out in the small, humble cemetery for being the only mausoleum. It faced the mansion and the hills beyond. 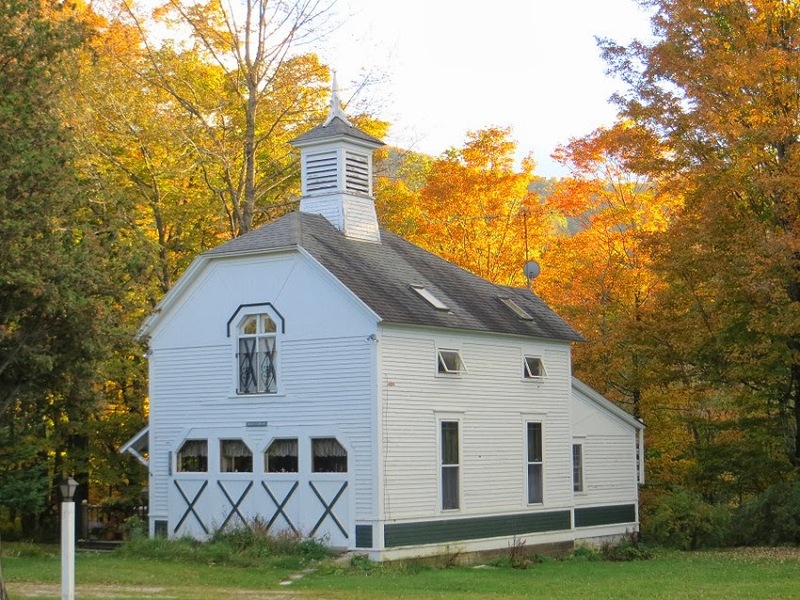 The greenhouse, which I at first mistook to be a chapel, is still there. The mourning statue of Bowman was pretty incredible. 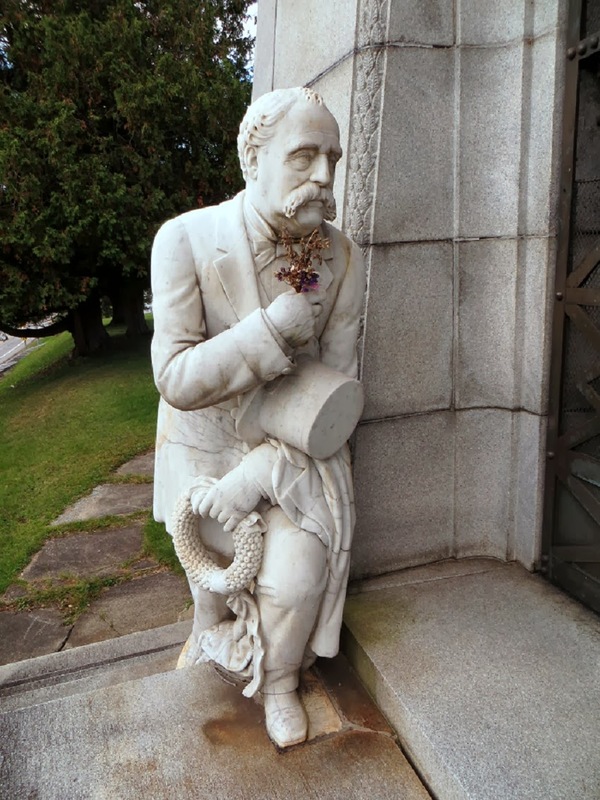 He has a top hat and wreath in on hand, and his other hand lifted, perhaps in supplication or perhaps to do the precise thing it was doing when I visited: Hold a small bouquet of dried flowers. From what you can see of his face behind his massive moustache, it looked less like the countenance of a man grieving and more like somebody desperately entreating entry…which is much more powerful, considering the story and what’s inside the mausoleum. After all, for 11 years, that’s how he experienced his family. They entombed together, he on the outside, just across the street, alive and alone, waiting to join them. You could see right into the mausoleum through the iron door. 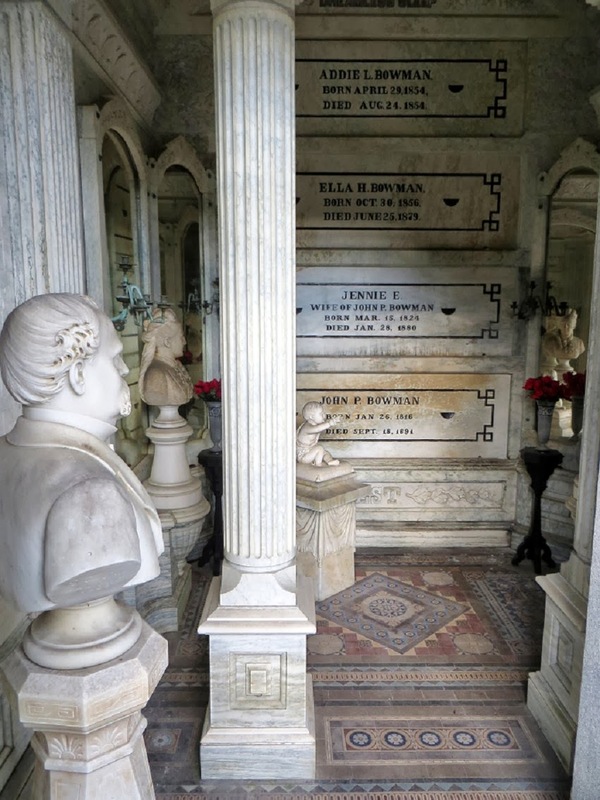 At the back, set in the wall and stacked vertically, were the crypts of Bowman and his family. In addition, there were at least two busts and a statue. One of the busts was of Bowman himself, another looked to be either his wife or older daughter. The full-sized statue was that of his infant daughter Addie, reaching its tiny arms out toward phantom parents. I think there was a fourth bust in there, but couldn’t quite see it around the edge of an alcove, despite the mirrors that were placed inside to make the place look roomier. On the door of the mausoleum were hung a few pages covered in plastic and affixed to a wooden board. 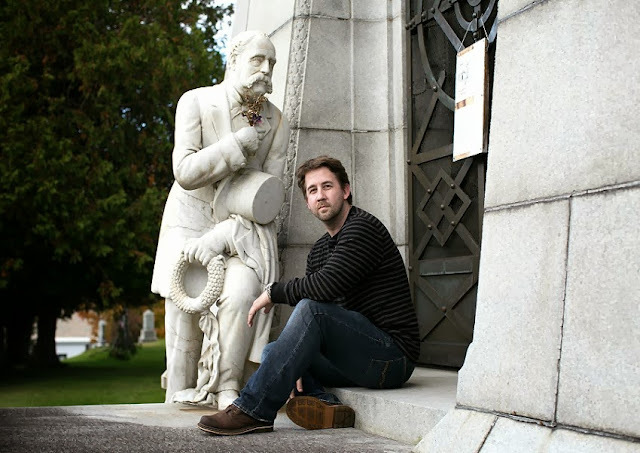 They told the story of both Laurel Glen Cemetery and Laurel Hill. It was then that we learned about the mansion behind us, with its front lawn fountain and adjacent stable. It felt right learning about it right there. And I like it when a mausoleum teaches me stuff.